Then see what (if any) sign up boxes you see on the blog…usually in the top area somewhere. If it’s a professional type of blog, they will definitely have an area for readers to subscribe. Now, take notice of what you find here. Going through the page 1 SERP (search engine results page) links, you’ll see sign up forms that simply say something like, “sign up for updates” or “sign up for the free newsletter” and then some that provide solutions to the reader’s current issues or problems. Sometimes you’ll see answers to problems that might take some time to actually see the results vs solutions to problems that will occur within days. You see, the problem with bland sign up offers is that they don’t present themselves with urgency – and that’s just not enticing enough to get people to give out their details. What can YOU offer that sets you apart from other entrepreneurs in the same niche? Let’s look at how this can pan out. Remember, in everything you do, do it strategically because then it will make sense and get you the results you want. 1. Find out what your target market needs. What do they struggle with? One of the worst things you can do is offer your market something they don’t even need. That’s like throwing spaghetti at the wall and seeing what will stick. Do your research. Get down and deep with it. You have to get to their pain points, fears, and challenges. Notice how I added some sense of urgency in it. Try your best to break things down as much as you can. For instance, it’s not enough to offer a report on how to make your first $1k online, but instead, why not offer some ideas on how to make that first $100 today, simply because the $1k might take longer. Granted, you may not have a list yet, or you may have a really small list. That’s ok. You can still ask a small list what they want, need, or what challenges they might have. If anything, you can use forums or anywhere your target market hangs out. Think about Facebook groups or places where people would go when they need advice from others in the same industry. All you would need to do is go to Google search and type in your niche and the word “forum” and you’ll see a number of forums pop up. I went over to the Skin Care Talk forum and looked up discussions on clear skin. Additionally, you can visit the comment section of other blogs for ideas. Usually when you see a blog with a thriving community, readers will often comment and discuss their needs – especially if the post doesn’t answer all of their questions. If you use a keyword tool such as Ubersuggest or Google Keyword Planner, you will often find more ideas based on what people are searching for on the internet. There are some paid tools out there, but these free options are just as good for this particular use. If I do a search and type in “acne”, one of the top 10 listings is “acne mask.” When I click on it, it gives me the option to search further on Google, look at the Google Trends for this keyword, and Expand on this Keyword. Google Trends gave me nothing. 2. Deliver the type of value they would pay money for. You do a brain dump and that’s it. But, value is where it’s at. Look at it this way- this is your very first impression with a potential new subscriber. When you put it into perspective, you want to do your best to “WOW” your audience. And to do this, simply start planning your opt in offer as if it’s a paid offer. Give away something such as a mini course. Something they can access right away, while thinking “I can’t believe she just gave that away!” This does more than just intrigues a new audience – it will have them sharing it too. Here’s what else- When you finish creating your opt in offer, put a price tag on it. If you want to take it a step further, go ahead and create a salespage where you’re actually selling it for that price. The best thing you can do is give your true expert advice on the issue. While other entrepreneurs are coming up short on information, you are proving yourself to be a valuable resource. Your subscribers will love you for that and will potentially turn into loyal customers later on. No matter what, you want to be at your best with your business. And this also means being better than the other gal. Stay one step ahead of her AND her offer. This is when you hit the ground running with being an online spy so to speak. 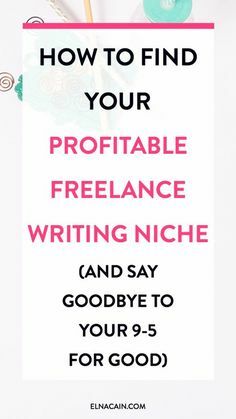 Go back to the same steps you did in the beginning, when you were first checking out the offers for your niche. Keep a list of what offers you find out there. Is it covering all bases? Keep your notes on hand and jot down what you like and dislike. For instance, if one clear skin expert talks about, “having a clear skin regimen,” but she doesn’t really elaborate on what that means, you make sure you fill in these holes in your opt in offer. Make your opt in offer longer, meatier, and more informative than the competition. Be very cutting edge with your info. I went over to Google search and put in the keyword “clear skin” and then clicked on the News tab. Tons of articles came up with up-to-date info on this topic. You can find articles to add to your report to provide up-to-date research, whether it be for relief or alerting them about urgent info they should know about. Just credit the source. You can create a simple PDF for your readers to download and tear apart. Bonus points if you encourage them to share it with their friends or network. Set up a membership site for exclusivity. Add some levels to it. One can be Free with the option to upgrade to an Elite or Premium membership. Some people are busy and prefer to listen while they are doing other things. And some are just not feeling the whole reading thing. So, for those who like to learn on-the-go, you can create an audio or podcast with the same info as if it was text. You can also choose to do an expert interview and give that away as a complimentary gift also. Video courses are fiyahhh!! No really, they are. It’s more personal and most people are loving it these days as opposed to text and other forms of content. Business owners are getting hip to this for increasing their conversions. Whatever route you choose to go for creating an irresistible opt in offer, you must test and tweak it every so often. You can do this by setting up a split test so that you have different offers. Observe and see what people are liking and what they are not. Test the different formats we discussed for these reasons. Come up with different offers and test those too. Tweak your copy to say what it is you’re offering them in a different way. Do you need a mentor? I’d like to extend an offer for you to grab a spot for *FREE COACHING* in my Shift to Freedom™ program – it’s an 8 MONTH Business & Lifestyle Program designed to get you on a path to creating the life you want, – fast! You can check it out here and contact me TODAY for a 15-minute discovery session. There’s just a few spots are left girl, so don’t wait! Such great advice. I was looking for something like this! Ok, now I just LOVE this post. Very direct, clear and so easy to follow. Now I need to pin this and bookmark it to use. I love when I can learn ways to do things better and be more productive. I may actually change my opt in to use your second suggestion. It does make it so much more enticing. I’m also bookmarking these tips. I feel the methods could transfer to paid items as well. Thanks Shannon. Glad I could help.